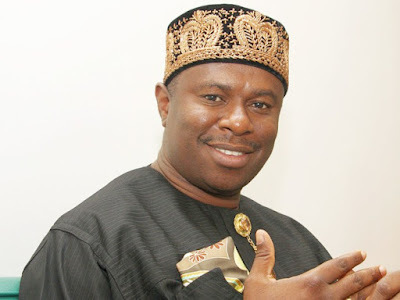 He told newsmen in Abuja at the weekend that the current management of NIMASA would not allow the CVFF suffer the same fate as the Ship Building and Ship Acquisition Fund (SBSAF). The director general said that under his leadership the Agency would take necessary precaution to ensure that all national assets under its care are used for the benefit of all Nigerians. He said he was bent on ensuring that the Agency commits itself to the principles and letters of its enabling instruments. He said that NIMASA under his headship would be rededicated to its core functions of promoting indigenous participation in international and coastal shipping as well as regulating the maritime sector for Nigeria’s economic development. Explaining why the SBSAF may have failed, the DG observed that while the SBSAF was backed by policy, the CVFF is backed by law which makes it more difficult for the CVFF to be open to abuses. “With the CVFF, the Agency contributes 35 per cent, the banks that are the Primary Lending Institutions (PLIs) contribute 50 per cent, while the applicant makes an equity contribution of 15 per cent. He said, “The various layers of due diligence from the Agency to the banks makes it very difficult for this programme to be abused. He assured stakeholders that NIMASA would ensure the disbursement of the CVFF to qualified operators provided they meet the requirements as stipulated in the guidelines. The Cabotage Vessel Financing Fund (CVFF) is a product of the Coastal and Inland Shipping Act of 2003 and provides for the disbursement of loans to indigenous operators in the shipping industry to grow their fleet. This fund is derived from the 2 per cent surcharge on all Cabotage contracts which are deducted and warehoused in the CVFF.